I am pretty used to posting items online to sell mainly in military wives groups online or even going out to consignment stores to get rid of clothes or other things. I have recently been somewhat successful with using an app called poshmark to sell some items but now I want to try Instagram. And I am ready to part with some things and let them go to a good home as I will be shopping for much needed spring and summer items. Don't worry not all will be sold I plan on donating as much as possible too. 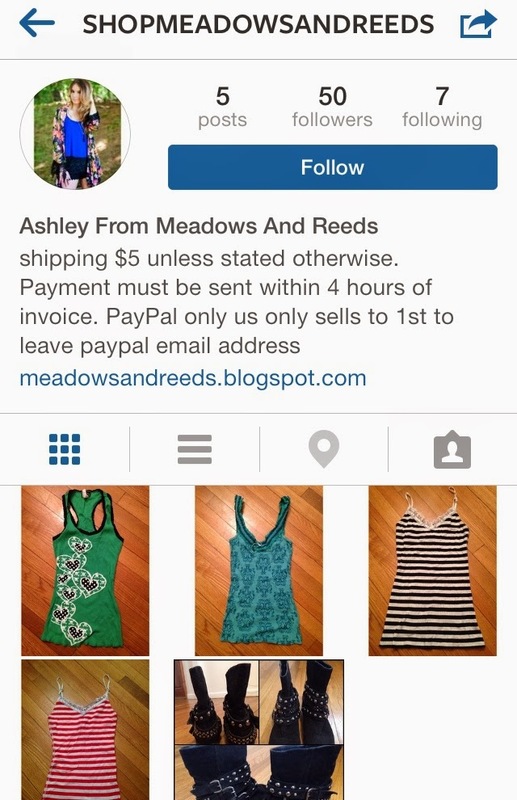 Follow me on Instagram @shopmeadowsandreeds if you are interested in an item leave your paypal email in a comment for an invoice. First come first serve. Lots more to come! Life just got crazy ....like for real!